District Court proceedings in North Carolina, both civil and criminal, are recorded digitally without a court reporter present. 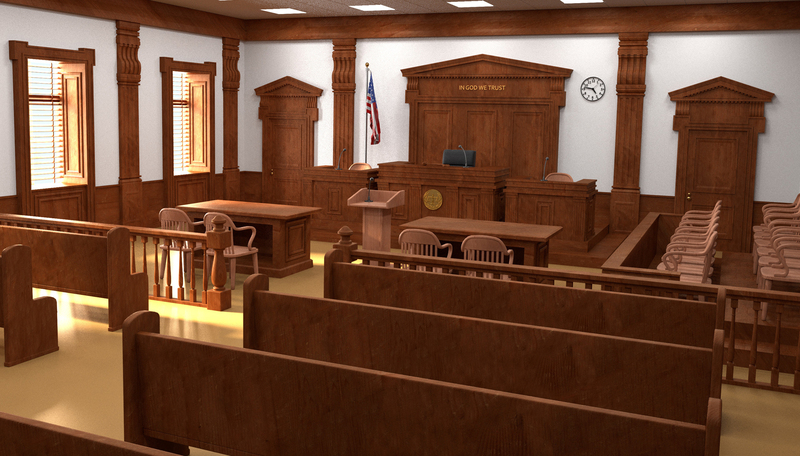 The courtrooms are outfitted with recording equipment operated by the courtroom clerk, who starts and stops the equipment and notes in the digital file when each case is called, witnesses are sworn, and exhibits are introduced. Microphones are placed at each counsel table, the witness stand, and the bench. When one party needs to have an official transcript for appellate or other purposes, they obtain the audio files from the clerk and must contract with a court-approved transcriptionist to create the official transcript of proceedings. There have been numerous issues with the quality of transcripts produced from these audio recordings. When attorneys or witnesses are speaking over each other, or aren't near one of the microphones, or if there is some type of audio interference, and the transcriptionist can't be sure of what was said, they mark that section "inaudible" in the transcript. On occasion, the recording equipment malfunctions and nothing is recorded. Having a professional court reporter present would avoid these issues, but there are a few things attorneys can do to ensure that they get the highest quality recording possible when arguing a motion or trying a case in District Court. 1. Don't tap your fingers on the table. 2. Keep your phone off the table. If you absolutely must have it there, make sure it's not set to "vibrate." 3. Don't shuffle papers in front of the mic. 4. Be aware that your side conversations will be picked up by the mic unless you mute it. 5. Make your arguments in front of the mic, not wandering around the courtroom. 6. If you read from a document, don't bury your head in the document or mumble. 7. Instruct your clients to follow the same rules. When you contract with a transcriptionist to create an official transcript, it's helpful to provide them with some of the pleadings in the case so they will have the proper spellings of witness names, addresses, business names, and other terminology that might be used in the hearing or trial. Usually courtroom court reporters will look through pleadings during breaks, but a transcriptionist doesn't have the opportunity to do that. Durham Court Reporting has approved transcriptionists on staff and can assist you in having a District Court transcript created. Call us at 919-682-7757 to inquire more about District Court transcription. 2019 Legal Media Experts. All Rights Reserved.